We have all heard the story of the “virgin birth”. We have heard, there was no place left to give birth to this Son of God and Man at the local “INN”. We learned that this child of God and Man would come into this world IN THE MIDST OF ANIMALS… domesticated animals I must point out… for there is a treasure hidden in every aspect of this story and nothing is as it appears to be. The revelation of this story is a life changer and I am excited to share this essay I wrote years ago with all of you. The story begins when we are old enough to comprehend it. This story becomes a tradition, much like that of telling your children tales of Santa Claus or the Easter bunny. The story is reinforced as it is passed down from generation to generation and soon it begins to take on a life of its own. So much so that the LORE OF THE STORY becomes more important than the meaning of the story. And this my friends is part of our fall from truth. So let us begin at the beginning of Jesus’ story, to see how it becomes our story. This child born in a cave among animals, barn animals, stubborn donkeys, dumb sheep, horses, and more. We were told a feeding trough would be his crib, that wise men would visit him and shower him with wonderful gifts. Every year we would see this “nativity” scene displayed on lawns, mantles, and acted out at our local churches, or aired on TV, or the latest movie depicting such. Yes, the story of the “VIRGIN BIRTH” in all it’s glory has taken on a life of it’s own indeed. This story has been force-fed to us from childhood and then reinforced with the religious fear that if we doubted such a tale, God would not be pleased. Well I must tell you my friends, there is more to this story. If you know anything about Jacob’s Ladder, you know not everything in scripture is exactly as it seems to be. Jesus himself said to his disciples, “unto you it is given to know the mysteries of the Kingdom of God and unto those without understanding and wisdom ALL THINGS ARE DONE IN PARABLE. The apostle Paul, spoke of the ALLEGORY of scripture and many more. The books of Psalms and Proverbs boldly declare that God only opens his mouth in parable, in dark sayings. We are told no scripture is of private interpretation, that the meaning cannot be forced to the surface by natural means it MUST BE REVEALED! The scriptures are LOCKED UP TIGHT, we are told… But I tell you, they are also filled to the brim with the keys to understanding the SPIRIT of these story beneath it all. We need these keys to open the doors of our understanding. We need these keys to find the truth and part of this truth you will find right here, right now. However, for those without these keys, for those without the inspiration, the spirit of the story, the wisdom of it all, these stories are locked up as vain traditions of ignorant men and women. Without the keys, when looking for the truth it will be as if you are looking at a what you believe is a glass covered in filth. You have an idea of what might be on the other side of this glass, but it isn’t until the filth is wiped away that you can see the glory of what is hidden behind what the past had covered up. Yet, in the moment that you are inspired to say, “I am going to look deeper”, “I know there must be more”, that you begin to see all that filth blocking your view fall away. In that moment you realize there was nothing on the other side, the muck and dust of the past only obscured your view to a mirror that reveals the story has always been about you. So, today, I am going to help you wipe that filth away as we look at the CONCEPTION of Jesus and what that spiritually means for us all. I will tell you truthfully, IT HAS NEVER BEEN ABOUT A SINGLE MAN NAMED JESUS! Just as we conceive physical CHILDREN, we also conceive SPIRITUAL children within, I call these “spiritual children” thoughts… Let me give you one an example of how we create them, we hear someone say something. This spoken WORD/thought gets planted within us, WITHIN our mind. If we pay a lot of attention to what we heard, this seed/thought that was planted inside of us takes root and soon grows. Whether what was planted within us is true or not does not matter. What matters is whether we believe it is true. Perception is our reality. Whatever thought is planted within us, once believed, now becomes our spiritual reality. We begin to believe that we are exactly what we have begun to believe. Let me give you and example. If a bad parent showers us with hateful words, telling us we are good for nothing then we grow into insecure people IF we believe this is true. Until those “spiritual children/beliefs” are cast out of us we are doomed to live a life where we believe we are good for nothing. If we are told we are stupid and we begin to believe this, we will find that we cannot ace every test or even keep up with those around us mentally. This is NOT because we are stupid or ignorant, it is because we have believed that is what we are. A person can only be what they believe. Reversely if we are showered with hope and security we will most likely grow into secure and hopeful people. You see we are all more than our flesh and bone body. Who we truly are is who we believe and call ourselves to be. Our thoughts are our identity, unfortunately in many cases we have a mistaken identity called our Ego that we follow ignorantly. This happens easily. Let me give you a simple example of how someone can be one thing and be convinced that he or she is someone else. Once a baby is born, it is force-fed its perceived reality. It is given a name, it is told what is right and what is wrong, and more. Now if that child was raised on an island and told each day that he was an alien from another planet, even though this isn’t true, this child would know no better and would grow up believing he was indeed an alien. Perception becomes that child’s reality and it isn’t UNTIL the truth is revealed about who that child really is, that the false identity comes tumbling down. This is, as you will see, allegorically what the story of the Virgin Birth is really all about. Birthing the TRUTH of your divine unity with God through Christ. Because the words of others have such power, so much so that we can easily be manipulated to follow false teachers, kill in the name of false gods, even kill ourselves because we believed the lies of others, we MUST be careful what we believe as true. This is why we must always temper what we are told about God by others with study and turning to God for the answers. “Let God be true and consider every man a liar”. Many have killed and continue to kill in the name of man’s god, and this is because they have allowed lies to be their fathers and mothers within. But if we take every thought and word spoken captive and challenge it with God’s truth and law of Love, then it will not be so easy for us to become “children of the devil (father of lies)” ourselves. In addition we must learn that it isn’t always going to be easy sharing the truth with those who are set in their ways. We must not get upset when we share the gospel (good news) with people and they don’t receive it. They most likely can’t receive it because of years of brainwashing. Scripture is clear, people cannot come to the “SON” unless the Father draws them. The good news is, eventually God draws all. In the meantime everyone is playing their part. I digress, I hope you can see how we also give birth to “children/beliefs” within. Jesus pointed out, these children (thoughts/beliefs) can be of the DEVIL (LIES/CARNALITY) or GOD (TRUTH)… I point this out, because the ONLY birth we should concern ourselves with is the BIRTH that takes place inside of us. We become PREGNANT with the POSSIBILITY of what is to come. We become PREGNANT with the WORD OF GOD. As I stated earlier, we are our Thoughts. So, when it comes to the Kingdom of God WHICH IS WITHIN it shouldn’t matter how we were physically born, what matters is how we are spiritually born. And Christ is BIRTHED within US. So, if you can hear it, MARY and JOSEPH’S story, however literal it may or may not be, is not what matters. It is the SPIRIT of the story that matters, and is what we must find. The PEARL OF WISDOM tucked away inside the SHELL OF THE STORY is what we must concern ourselves with. When you dream at night every character IN YOUR DREAM IS YOU. When you dream, what you dream is your REALITY (even though it is imagined) However, it seems real at the moment. In those dreams you may see friends, experience the sting of an enemy, etc.. but when you wake up, you realize every single “character” in that dream was YOUR CREATION. Everything, and everyone, in your DREAM was YOU. Each participant in the DREAM was YOU, a representation of you, a part of you. Some say dreams are your subconscious’ way to work things out, other’s say (Myself included) it is God’s way to open your understanding to greater things. Our life too, is as a dream. For we are living in the valley of the shadow of death, if we be ignorant of the Truth, we miss the REALITY of who WE ARE and WHO GOD is. But when the TRUTH, when GOD’S SPIRIT wakes/resurrects inside of us, we want to cast off that Old Man so the New Man (Christ) can rule. So, I ask that you suspend your LITERAL understanding of scripture for this paper, and look at this article in the same way you would look at a dream. Types and Shadows, Symbols, etc… Look at each character in the Scriptures as a representation of something spiritual. Not just literal people from thousands of years ago, but stories that we all learn from, as each of these individuals, animals, situations, etc. are representations of what is going on WITHIN us. Remember, the HOPE OF GLORY is not OUTSIDE it is INSIDE (within). It is CHRIST within that we are seeking, that we are BIRTHING, that we are to REVEAL to the world. And how do we WAKE from this nightmare of mortality/suffering/death… God sends an ANGEL. So I am going to take one account of the CONCEPTION OF JESUS from LUKE and open it up, line by line, by showing you that every single character, location, etc is actually a representation of what is happening, happened, or about to happen, WITHIN YOU! JOHN 14:22 Judas saith unto him, not Iscariot, Lord, how is it that thou wilt MANIFEST thyself unto us, and not unto the world? 23Jesus answered and said unto him, If a man love me, he will keep my words: and my Father will love him, and we will come unto him, and make our abode with him…. 26But the Comforter, which is the Holy Ghost, whom the Father will send in my name, he shall teach you all things, and bring all things to your remembrance, whatsoever I have said unto you. But let’s look at that verse of LUKE in-depth. So what is this ANGEL? If it is not some great winged being? … Well let’s look at what the word ANGEL literally means, and it literally means MESSENGER. In the Young’s literal translation you will never read the word Angel, it is always translated as “Message, Messenger, Man”. A Messenger is someone who brings a message, and a message is something that is birthed within. In addition we are all messengers, some of truth, some of lies, some of the mail! Truly, anyone who delivers the GOSPEL, the WORD, the GOOD NEWS is a MESSENGER of God. Now the name GABRIEL translated from the GREEK simply means (MAN OF GOD). So we see here that a MAN OF GOD, who is God’s Messenger is sent, much like many of us are sent to those without the truth. “to plant seed”. “to water” etc… It is the same way it has always been, Blessed are the FEET of those that bring the GOSPEL. We see also a clue as to where the MESSAGE is sent in the meaning of the city and places name, Galilee which means “Circuit” and in Galilee there is a place named NAZARETH which means “the guarded one, separated one”. First of all, a CIRCUIT is an unbroken cycle… This unbroken CYCLE we can call IGNORANCE. Mankind is walking around in the WILDERNESS of their imagination, doing the same thing again and again and again. Same mistakes, same troubles, THERE IS NOTHING NEW UNDER THE SUN… yet in this CYCLE OF DEATH, there is NAZARETH which means (Guarded one/separated one) — That means, there is a way out! There is a HOPE OF GLORY. Okay so we got that out-of-the-way, notice the timing here. When does the MESSENGER OF GOD come to MARY, it is in the SIXTH MONTH, the number 6 is very important. It is the day in which GOD MAKES MAN. All symbols people. That means, there are DAYS AND MONTHS AND YEARS before the CHRIST is birthed WITHIN US. When it was time for God to raise Christ from the DEATH of our CARNAL IGNORANCE, a messenger, man or woman of God, or a thought of truth came to us. We were about to CONCIEVE a GREATER TRUTH of UNDERSTANDING. WISDOM is a TREE OF LIFE you know. And we were about to lay hold of it. This “Virgin” is (US). We have no problem understanding this when we look at the PARABLE OF THE TEN VIRGINS, but this DOCTRINE of MARY’S LITERAL VIRGINITY is a belief that few dare to oppose. The Truth of the matter is, I could care less if Mary was a Virgin or Not, I CARE ONLY about what this MEANS TO ME, FOR ME, FOR CHRIST IN ME. So this VIRGIN was espoused (Promised in MARRIAGE) to Joseph which, as God would have it, translates into “God has ADDED”. A picture of how we all are meant to become ONE with what GOD HAS ADDED to US, (Christ). But look at this “virgins” NAME (which by the way, “name” translates into “NATURE”) — The Virgin’s Name WAS (past tense) MARY which translates from the GREEK into REBELLION. Man’s nature is REBELLION. Isn’t that something. Our REBELLIOUS HEART, is where the MESSAGE of TRUTH comes to DECLARE, that out of that REBELLION, will come SALVATION? This is a picture of you and I, we were still yet in the THROWS of IGNORANCE, our very NATURE WAS REBELLION… But we were PROMISED to BECOME ONE (marry) with the (Joseph) ONE GOD HAS ADDED (Christ). This MESSAGE of Truth (Came in unto her) – The “her” in this story, is our SOULISH NATURE. The word CAME IN translates better into ARISES WITHIN. This is the moment when we first come to the understanding of the TRUTH. That God is our FATHER and that IN US will be birthed HIS CHILD. Notice it must be BIRTHED out of our SOUL (sense of being). The message being portrayed here, is WE GIVE BIRTH to the SAVIOR OF THE WORLD… WITHIN. Even some reading this now, will be so TROUBLED by hearing these words, they won’t believe. 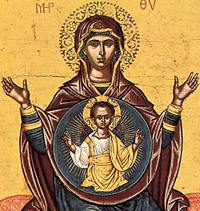 They will say, there is only ONE MARY, only ONE JESUS, and that it happened thousands of years ago. AS opposed to seeing that WE ARE MARY, that WE GIVE BIRTH TO CHRIST.… This is OUR STORY as well. MARY is a symbol of our REBELLIOUS soul, and it is hard for us to wrap our MIND (thinking) around the idea that THE SAVIOR OF THE WORLD is to be BIRTHED within us. But take a moment and ponder these words. “The mystery that has been HIDDEN for the AGES… CHRIST IN YOU the HOPE OF GLORY.” – This is GOD’S PLAN, to create MAN in HIS IMAGE (CHRIST) on the SIXTH DAY. So this is also an allegorical telling of how CHRIST is BIRTHED in us. So even if you’re all flustered by these words, settle down… God makes EVERYTHING BEAUTIFUL in its time. You, like Mary, may even wonder what manner of MESSAGE this is. But I will say, what any good MESSENGER WOULD SAY. 30And the angel said unto her, Fear not, Mary: for thou hast found favour with God. 31And, behold, thou shalt conceive in thy womb, and bring forth a son, and shalt call his name JESUS. Don’t be scared. God only has ONE CHILD, and that is HUMANITY, either DEAD in the REBELLION of ADAM or ALIVE AGAIN in CHRIST. We have been given GRACE, FAVOR, as MARY in the story. We are ALL in process and this is the process that God has chosen for us. And WITHIN us shall SALVATION COME (arise). And we shall call his NAME (NATURE) Jesus… which translates into “GOD IS SALVATION” – So our SALVATION comes from WITHIN US, not outside us. No need to ask Jesus to enter your heart, for CHRIST IS YOUR LIFE, and your LIFE IS HID in CHRIST. And when the moment comes, that you UNDERSTAND THIS… It is a troubling time, but also an exciting time. Because you, whether you know it or not you then realize soon you will be giving Birth to GOD’S ONLY BEGOTTEN. 32He shall be great, and shall be called the Son of the Highest: and the Lord God shall give unto him the throne of his father David: 33And he shall reign over the house of Jacob for ever; and of his kingdom there shall be no end. And once this happens, You no longer are in control of your life. For your LIFE Has been HID IN CHRIST, but now it is clear… The Throne of God is WITHIN the TEMPLE, we are the TEMPLE . So CHRIST is given the WHEEL. Notice, it says here CHRIST will REIGN (rule) over the HOUSE (MINDS) of JACOB (natural thinking man) for ages, and his KINGDOM (reign/rule) shall have no end. Now that doesn’t mean it is a literal KINGDOM that goes on and on and on. It means, that ONCE CHRIST is BIRTHED within YOU, CHRIST RULES every part of you. There is no end to CHRIST’S RULE. One day someone comes to them (someone who knows nothing about God) and tells them that they are God’s child and that one day, the TRUTH of who they are WILL BE REVEALED within them… They would be like “Say what Willis?” They couldn’t comprehend the gravity of those words. They would say, “How is that possible? How can you say I am God’s child, when I don’t even KNOW GOD?” – You see the things of God are foolishness to the natural man. 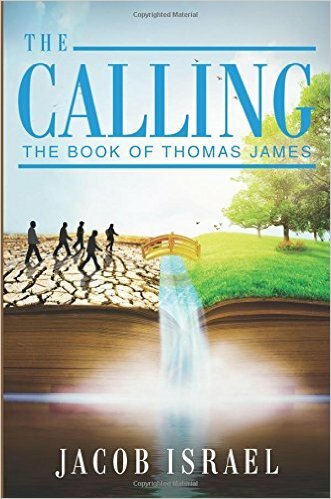 So our REBELLIOUS SOUL (Mary) will not be able to receive this truth, by the MESSENGERS WORD alone… It would be foolish to them to even consider that THEY ARE THE CHILD OF GOD, when they don’t even KNOW the first things about GOD to begin with… This is really what is going on here “Church”. Every line of scripture, is about the BIRTHING and RESURRECTING of CHRIST WITHIN. So, how does this happen? How do we, in our IGNORANT STATE come to the knowledge and stature of the PERFECT MAN? So it doesn’t even matter if you/Mary (The REBELLIOUS/BITTER carnal soul) of mankind have a problem receiving this truth, you see it doesn’t matter. “With Man nothing is possible” Mary didn’t BELIEVE it was possible, as many reading this won’t believe that this ALLEGORY is about US. But with GOD nothing is impossible. HIS WORD does not RETURN VOID. This is a glorious moment for us all. It is the moment we say, YOUR WILL BE DONE, NOT MINE! It is the moment, we say, OKAY, CHRIST IN ME, I believe. We are ready to birth this CHILD WITHIN. But what most forget is that PREGNANCY is a process. It takes a TRIMESTER (3 DAYS) about FORTY WEEKS… Sound familiar? Israel in the dessert 40 YEARS until they entered the promised land (Christ). David didn’t rule ISRAEL until he was 40. Jesus was TEMPTED for 40 DAYS and nights. Birth is a process, and it would be the same for MARY… as it was, and is, FOR US. It doesn’t happen in one altar call, sorry “church”. But the CHILD (the TRUTH WITHIN US) will grow strong. Slowly but surely it will make the OLDER UNDERSTANDING serve the YOUNGER UNDERSTANDING. And everything in our lives change. We will find along the way, sometimes we LOSE this GREAT TRUTH… As Joseph and Mary did when they were LOOKING FOR IT AMONG THEIR KINSFOLK… You see you cannot FIND CHRIST in the WORLD you can ONLY FIND CHRIST in the TEMPLE (within YOU)… And for a while, as CHRIST was subject to MARY AND JOSEPH, OUR TRUE NATURE (christ) will be subject to our EGO NATURE… But as that TRUTH GROWS inside, we will say as John said. Then we CHRIST comes to maturity IN US. We too will say, I CAN DO NOTHING OF MYSELF. We will understand we can ONLY DO WHAT GOD WILLS. For GOD is in control of ALL. Soon everything (every thought/belief) will be put under the SON (child of God) and when that happens, we will no longer go to THE SON to know GOD for we will be THE SON and we will know the FATHER, and then we will put EVERYTHING UNDER THE FATHER. So GOD MAY BE ALL IN ALL… But that my friends it another essay for another day.